The meme is a song between father and son, which was parodied dozens of times in the span of only two weeks. In 2018, the world of Twitter, Instagram, Snapchat and other social media platforms were bombarded with memes constantly flowing throughout people’s feeds. 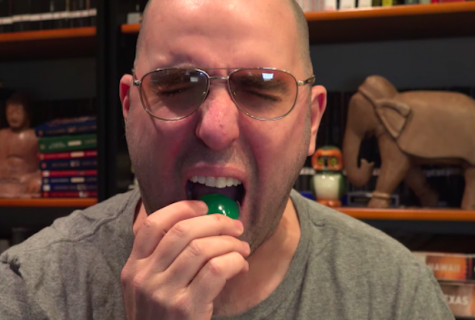 Paul’s video caused mass controversy, and, surprisingly enough, mass comedy. 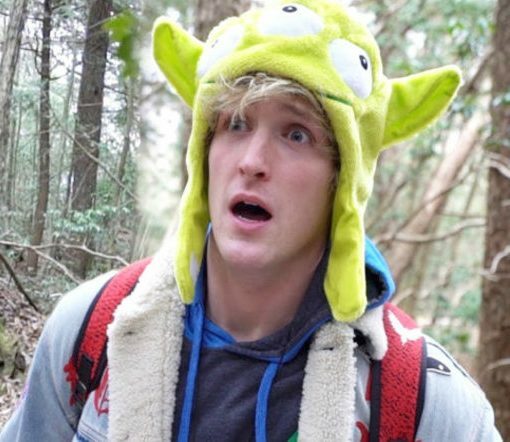 During the few days of January, Youtuber Logan Paul blew up with his atrocious video of a dead body hung in the forest. The video caused mass controversy due to the filming of a dead body, and, surprisingly enough, mass comedy from Paul’s response. 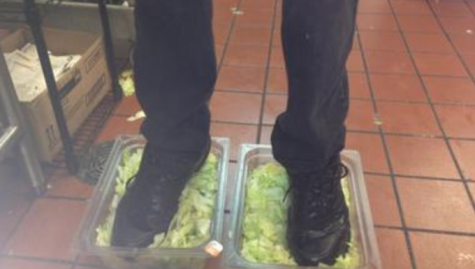 The meme caused several hospitalizations and over 12,000 poison control calls. Teens also took a dangerous route in January, starting the tide pod challenge, calling the detergent pods “the forbidden snack.” The meme caused several hospitalizations and over 12,000 poison control calls. 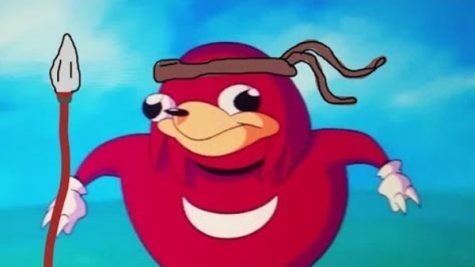 On a lighter note, the final meme that blew up in January was of the Ugandan Knuckles asking, ”Do you know the way?” The phrase was repeated time after time for the remainder of the month. The phrase,”do you know the way” was repeated time after time for the remainder of the month. The month of February was a slow crawl for meme-lovers. 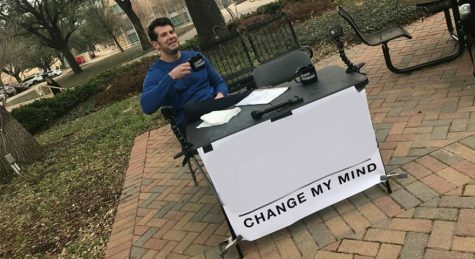 A meme was revived during February, which featured a man sitting at a table with a poster that had a blank space and read “change my mind.” People took the meme to their own humor and wrote in several different phrases or statements onto the blank space of the paper. People took the meme to their own humor and wrote in several different phrases or statements onto the blank space of the paper. 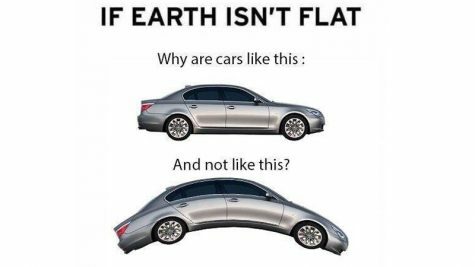 Flat earth memes were also given a spotlight during February, including memes from a “flat-earthers perspective,” which the meme community had not seen before. Flat earth memes were also given a spotlight during February, including memes from a “flat-earthers perspective” which the meme community had not seen before. The hit movie “Black Panther” also deserves an honorable mention for not only creating memes, but using memes such as “what are those?” in their movie. March was all about Spongebob memes. 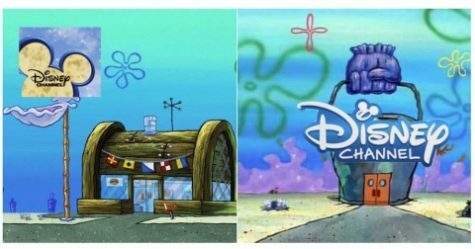 Twitter users pasted the Patrick meme everywhere, putting their own little twists on it. 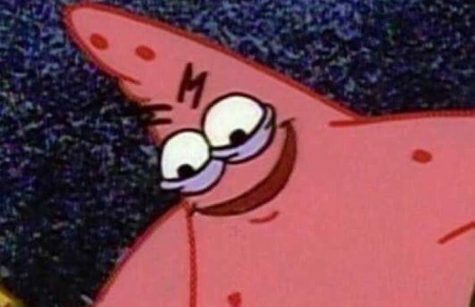 The first Spongebob meme to appear was a photo of Patrick looking down with a ravenous and malevolent look in his eye. Twitter users pasted the meme everywhere, putting their own little twists on it. While these were the primary memes, smaller memes were also commonly found during March. 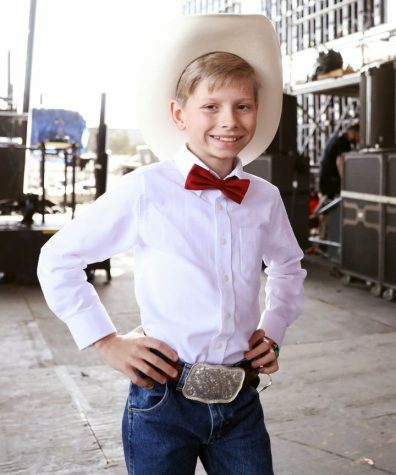 The memes of April were taken over by two people: Mason Ramsey and Mark Zuckerberg. 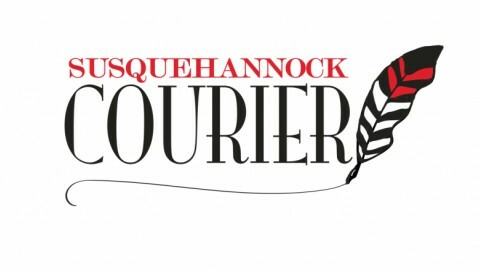 Ramsey broke the internet with a video of him singing “Lovesick Blues.” The video blew up on Twitter to an astronomical size, which led Ramsey to be able to create his own song. 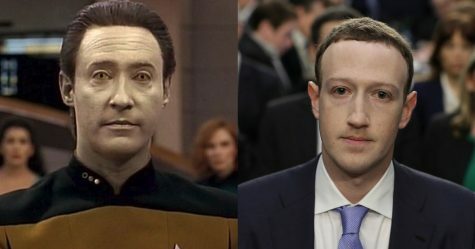 Mark Zuckerberg was also a meme inspiration after his trial on Capitol Hill. The Facebook creator continued to take sips of water and look terrified throughout the hearing, which people used as reaction photos. The Facebook creator continued to take sips of water and look terrified throughout the hearing, which people used as reaction photos for their memes. Other than Ramsey and Zuckerberg, April was uneventful in the meme world. The beginning of May was taken over by Avengers memes, due to the late-April, early-May release of “Avengers: Infinity War.” Social media began to create memes on the movie, but made sure not to spoil anything to help their fellow fans. 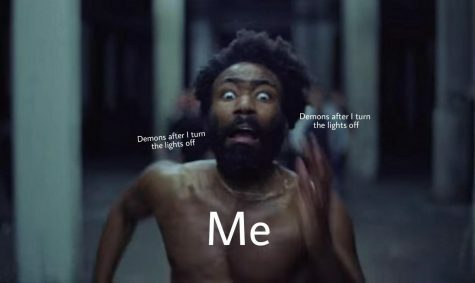 Donald Glover, or Childish Gambino, also made a meme impact with the release of his new song, “This is America,” with the dancing and background images in the music video. June had only one main meme, which was stretched across the entire month. 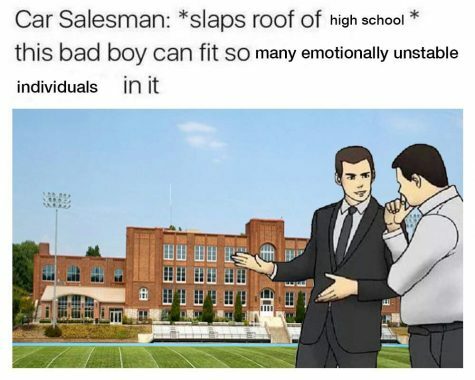 The meme featured a salesman attempting to sell a car. Meme connoisseurs took the salesman and changed the item he was selling, from rocks to schools. Meme connoisseurs took the salesman and changed the item he was selling, from rocks to schools. Other than the hardworking salesman, June was devoid of popular memes. However, an honorary mention is the “Is this a Pigeon?” meme, which appeared on Instagram feeds every now and then throughout the month. Meme-makers set to ‘expose’ celebrities with names like “50 cent,” :The Rock” and “Cardi B.” For example, 50 cent’s real name was,“50th century.” Cardi B’s real name was, “Cardigan Backyardigan” and The Rock’s real name was,“Theodore Rockefeller.” The meme controlled social media for the duration of July. One of the smaller memes to kick off a new month, the “Excuse me what the ****” meme, was commonly seen across social media platforms. 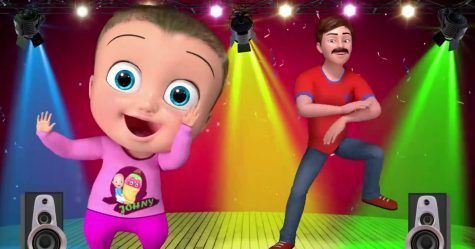 The meme stayed popular until the “Johnny Johnny” meme wiped out any chance for other memes. The meme is a song between father and son, which was parodied dozens of times in the span of only two weeks. The meme even lasted to survive until the first week or two of September before finally going away. 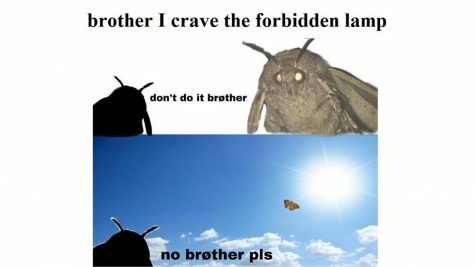 Since moths are all about finding light, meme-makers decided to begin making jokes about just how much moths love light. Nearing the end of September, annual holiday memes began to appear. This October was just like every October in the past couple of years, as all the memes were focused around Halloween. The most popular Halloween memes are for the “skeleton army,” which usually focuses on skeletons posted in yards for decoration or videos of skeletons dancing to spooky music. 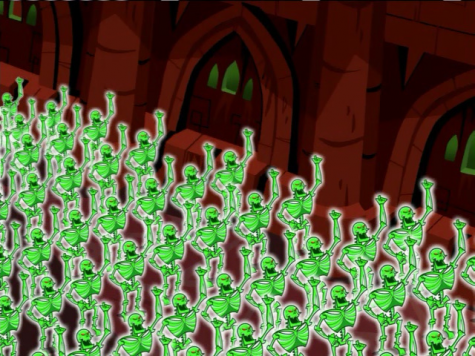 The most popular Halloween memes are the “skeleton army,” which usually focuses on skeletons posted in yards for decoration or videos of skeletons dancing to spooky music. 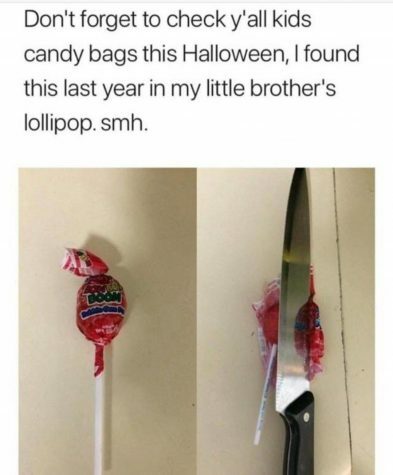 Other honorable Halloween memes include mocking parents by putting items such as ninja stars or whole swords on top of candy as if it was in the wrapper, along with costume memes. Along with October, November comes with several holiday memes. However, the memes are not about Thanksgiving, but rather are about skipping Thanksgiving altogether and heading straight to Christmas. Despite these holiday memes, regular memes were able to emerge. Two of the major memes included the phrase,“weird flex but ok,” which was used in response to almost anything. Two of the major memes included the phrase, “weird flex but ok,” which was used in response to almost anything. 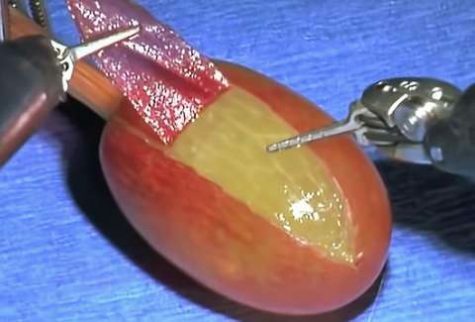 The final meme of November included photos and video of a robot completing surgery on a grape, which fascinated people and inspired meme-makers. 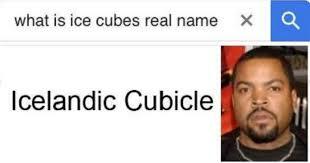 As of now, December has not had an outstanding meme. 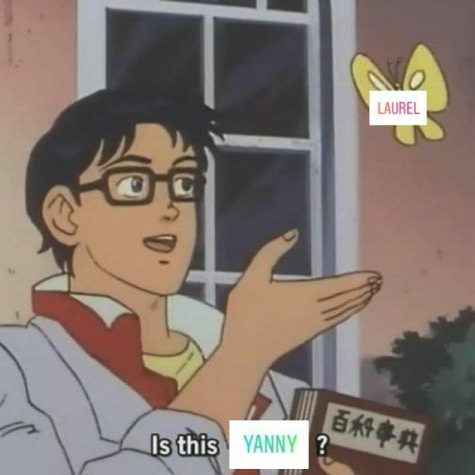 However, there is bound to be another final meme to send the world into 2019, which is bound to bring more creative and equally confusing memes.